Whenever people speak of Game 6 of the 1986 World Series they inevitably refer to the ball that went through Bill Buckner’s legs. This game will forever be considered the game that Buckner gave to the New York Mets. So much so that the name Bill Buckner is for many in Boston on par with some of the most hated names in sports history. What many people never seem to address is that despite the fact that the Mets won the game on the play that saw the ball go through his legs the loss of game 6 was actually not Bill Buckner’s fault. When the Boston Red Sox and New York Mets faced off in the 1986 World Series, the Red Sox were looking for their first championship since 1918. They had seen heartbreak many times before this series and many in Boston and throughout the baseball world truly believed that the curse of the Babe, (the Red Sox actually sold Babe Ruth to the Yankees), had credibility. However, in 1986 the Red Sox had built up a 3-2 lead in the series and although Game 6 and Game 7 (if necessary) were scheduled to be played in New York, it looked very much like this might be the year that Boston would celebrate its first World Series victory in 68 years. That belief would reach peak levels when the Red Sox took a 2 run lead in the top of the 10th inning and subsequently got the first 2 outs against the Mets in the bottom of the 10th. So if the Red Sox did not actually lose Game 6 because of Bill Buckner, what was the reason and who was responsible? Before assigning blame allow me to give credit where credit is due. What is often overlooked in the discussion is what was possibly as good of an “at bat” by any player in baseball history. With everything on the line, Mookie Wilson fouled off pitch after pitch, and created the scenario that would lead to a Mets victory. It can easily be said that without Bill Buckner the Red Sox may very well have still lost the game, but without Mookie Wilson the Mets would not have won the game. And before an injured Bill Buckner who should never been there in the first place ever had an opportunity to make his famous blunder, there was already plenty of blame to go around. It starts with the 1986 Red Sox manager John McNamara. He started by bringing reliever Calvin Schiraldi in for a 3rd inning of work, something he was not accustomed to doing. After getting the first 2 outs and bringing the Red Sox within 1 out of bliss, the Mets would get 3 straight hits against Schiraldi. Gary Carter, Kevin Mitchell, and Ray Knight would all get singles against Schiraldi while McNamara sat on the bench watching and hoping. With Mets now within 1 and the tying run on 3rd and the potential winning run on 1st, McNamara finally made a move and brought in Bob Stanley. Up to plate comes Mookie Wilson who fouled off pitch after pitch, and on a 2-2 count jumped out of the way of a pitch at his feet allowing the ball to skip to the backstop and bring home the tying run. So before Bill Buckner’s name is ever mentioned in the discussion, the Mets had tied a game they had no business tying. 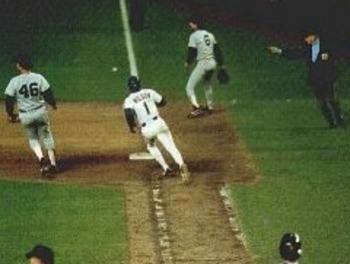 With poor management by McNamara, Schiraldi not getting the job done, and Stanley’s wild pitch, Mookie Wilson makes contact one more time as the infamous “little roller up along first” starts its journey that would end up between a hobbling Bill Buckner’s legs and a Mets Game 6 victory. The Mets would go on to win Game 7 and once again there would be heartbreak in Beantown. Heartbreak unfairly credited to Bill Buckner. HAVE YOU EVER STOPPED TO IDENTIFY THAT MOMENT IN YOUR LIFE THAT CHANGED EVERYTHING? IT IS THAT MOMENT THAT SENT YOUR LIFE IN A NEW DIRECTION AND THAT STARTED A CHAIN OF EVENTS THAT LEAD YOU TO WHERE YOU ARE TODAY. IN THE FOLLOWING PIECE I GO BACK IN TIME TO SHARE WITH YOUWHAT THAT MOMENT WAS FOR ME AND HOW I REACHED MY CONCLUSION. Back in the summer of 2013, while out on a date in Long Island where I had recently moved, I opened up to the woman I was with about my life’s history. I didn’t bore the woman with miniscule details about my early childhood. What I did instead was reveal to her the turn of events that found me in her car at that moment and the moment in my life that ultimately brought me to this place. It was then that I realized the remarkable way in which one event can change the direction of someone’s life forever, and the ability one can have to pinpoint such an event. I will tell the story by skipping ahead to a later time in my life, leaving the revelation of the moment for the end of the story, but for now let me say this. Never underestimate the power of a name. On September 10, 1989 I attended the wedding of my friend Rhonda. Her husband to be, Jonathan, was born and raised in London, England, and was a good friend of one of my closest friends, Danny, who subsequently stayed with me in order to attend the wedding. At the time of the wedding I was living in Briarwood, in the New York City borough of Queens. Danny stayed over for a few weeks and it was definitely a fun time. I remember the wedding well. I remember the women on the table that I considered asking to dance, just to see one asked by someone else, and the other excusing herself early from the party. I remember clearly how my waiter approached me and told me that he wanted to introduce me to his sister who I later realized was the attractive young woman who greeted us all as we entered. On September 9, 1990, 364 days later, in the very same synagogue, I would marry his sister Andrea. My friend Danny came back for the wedding, but did make me promise I would attend his wedding should it ever take place. In January of 1994 Danny did get married in Israel, and Andrea and I would make the trip as promised. Andrea and I stayed married for 6 years. Our life together was filled with tumult, mostly surrounding her bout with cancer and paralysis just 1-2 years into the marriage. I am happy to say she recovered almost completely from her illness, even if our marriage did not. We lived in Kew Gardens, also in Queens, for the entire 6 years. When we split up I would move into an apartment on the border of Forest Hills and Rego Park where I would live for the next 16 years of my life. I now need to take you back to an earlier time in my life. At the age of 14 I started attending high school in London. The reason I went to London was because my parent decided to move to Holland, and since I grew up in an actively Jewish household, and my Dutch, although fluent was not strong enough for schooling, my parents arranged housing for me in London where I would attend a Jewish Day School known as Hasmonean Grammar School. Hasmonean was and still is an Orthodox school, and it was a common practice for the students to spend a year or 2 in Israel after school to attend a full time Yeshiva for an advanced Jewish education. Together with Danny and one other friend I went to a Yeshiva, a school dedicated to advanced Jewish studies, in the city of Jerusalem. My friend Jeremy, who since has passed away, did not stay more than a month in the Yeshiva and returned to London. Danny would stay and be my roommate for my first year there before transferring to a different Yeshiva outside of Jerusalem. In my second year I would have a different roommate, develop Mononucleosis, and meet my first love, Shelley. There are certain moments in your life you remember, not only for their immediate impact, but for their significance in your life. Meeting Shelley was one of those moments in my life. Although it was not the event that changed everything forever, meeting her impacted much of what did happen in my life and continued a chain of events that went on for many years to come. Shelley was from Queens, and the first time I ever visited Queens was to visit her the following year. One of Shelley’s best friends was Rhonda, who I became friends with and with whom I remained close enough to be invited to her wedding even years after the friendship between Shelley and Rhonda had faded. It was at Rhonda’s wedding that I met Andrea, the woman I would marry and later divorce. Shelley and I had an off and on romance for about 4 years at which point we hit a dead end. She would go on to marry a wonderful man named Gary, build a beautiful family and is still a valued friend to this day. She introduced me to Queens, a place I would live for over 25 years, and of course she introduced me to Rhonda, at whose wedding I met my then future and now ex wife. She was also the catalyst for my move back to the United States in 1985. Although she never demanded anything from me, I am not the first person to move somewhere in the hope that a relationship would work out. Even though it did not, moving to the New York area in 1985 would be of great significance in my life and still is to this day. When I moved to New York my brother Leo was living in Fairlawn, New Jersey, just outside New York City. Leo would attempt a business venture with me, purchasing the radios and cars needed to drive for a Limousine service in Manhattan and beyond. I would drive one of the cars and be partners with my older brother. The business did not work out, admittedly due to mismanagement on my part, but would create another series of events that impacts me to this day. One day while driving, a man got into my car and began a conversation with me. He turned out to be an owner of a proxy solicitation firm and proceeded to offer me a job managing his Distribution Center in Brooklyn. I accepted the job and worked for the company for around 3 years. It was then that the owner of the space the company was renting for the Distribution Center offered me a position in sales in his printing company. I would end up working in that industry for 14 years. When I was ready to move on a friend of mine in the printing company introduced me to his friend Daryl. 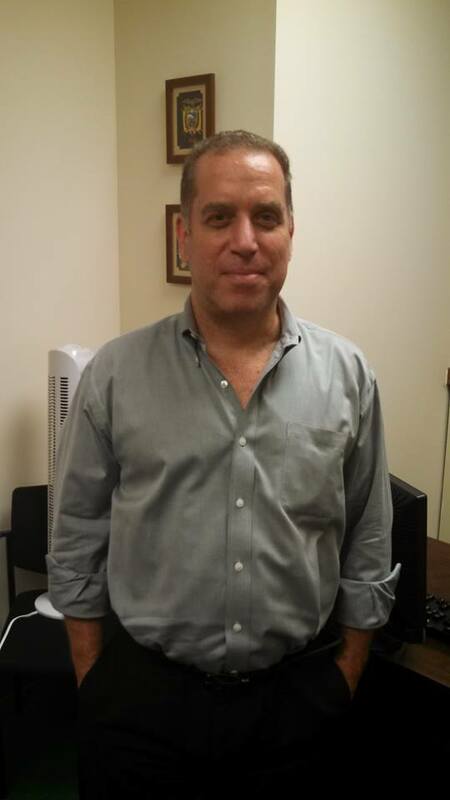 Daryl worked for a mortgage company in Long Island. I liked the opportunity and took the job, making more money than I had in any other job until this point. A few years later when the mortgage business started taking its now famous bad turn, I moved on to another job in a different industry. In January of 2012 I returned to the mortgage business. I am the son of Holocaust survivors from Holland. As you most likely realize by now, writing is something that I love to do. So I was blessed with the opportunity to write the story of my parents’ experiences in Holland during Nazi occupation and the heroism of my father and mother. My father passed away on June 13, 2007 and never saw the completed product, but in April of 2012 the book “Jew Face, A story of love and heroism in Nazi occupied Holland” was published. In order to promote the book I joined numerous groups on Facebook. In one of those groups I met the woman whose car I found myself in on that night in the summer of 2013. However, I did not go out with her until I moved to Long Island, where she lived as well. And who was the person most instrumental in my move to Long Island? The previously and oft mentioned friend Danny. After 16 years living in the same apartment in Queens, I get a call from Danny. He was in NY on business and wanted to get together with me for dinner. After dinner Danny asked me if I wanted to see his building. Not knowing the details of his business, I found myself confused. I asked him what he meant by “his” building, thinking that he was doing some form of property management. He proceeded to tell me that he actually owned a small apartment building in midtown Manhattan, that it had empty units, and that if it made sense for me, I could live in one. The only issue was that he was attempting to sell the property, and when he did, I would need to find somewhere else to live. After 16 years in the same building, albeit a very nice building in an apartment I loved, I felt it was time to do something to shake up my life and go in a different direction. So in July of 2012 I moved into the apartment in Manhattan. In March of 2013, Danny informed me that a deal to sell the building was imminent and that most likely it would be closing in June. A great friend every step of the way, Danny gave me plenty of time to find my next home. Working in Long Island and doing well at my job, I chose to move near to where I worked, and live outside of the 5 boroughs of New York City for the first time since 1985. And now, sitting in the car with my date, I realized the moment that changed my life forever. In 1974, one of my father’s brothers died tragically in a car accident. My parents would go to Holland for the funeral and then return less than a year later for the unveiling of his tombstone. During these 2 trips my parents began the discussion with my other uncle who was very active in the Dutch Jewish community, and began laying the groundwork for what would be a move to Holland in May of 1976. And I realized now that the moment that my uncle’s Daf, a car about as small as a Mini Cooper, blew over to the wrong side of the road during a storm, and my Uncle, David Groen crashed into an oncoming truck and died instantly, that my life changed forever. Everything that would happen would happen as a result of this moment, for as a result of this moment I moved with my parents to Holland in 1976, began school in London September of that same year, and began a life that likely went a completely different direction than it would have otherwise. The reason I was in this car in this place this summer of 2013, was because when one David Groen died, another David Groen’s life, my life, would change forever.